The San Diego branch has recently added three properties from Spectrum Property Management to its client portfolio. When PM Felipe Ulloa went to do an initial walk through on the third, most recently acquired, property he was shocked by the number of broken bottles and amount of trash and graffiti around the grounds. The Canoga Park team turned out in force to complete a large renovation is just two and a half days. The customer was under a critical deadline but BM Dan Dworsky and his team came through. John Mraz, BM in Allentown, sent these photos from the snow storm that slammed parts of the northeast. The crew worked hard during the night to clear their customers’ properties. We’re entering the expo/show season and Southern California hit the ground running! With two BOMA events and CACM’s So Cal Law Seminar & Expo, things were busy. 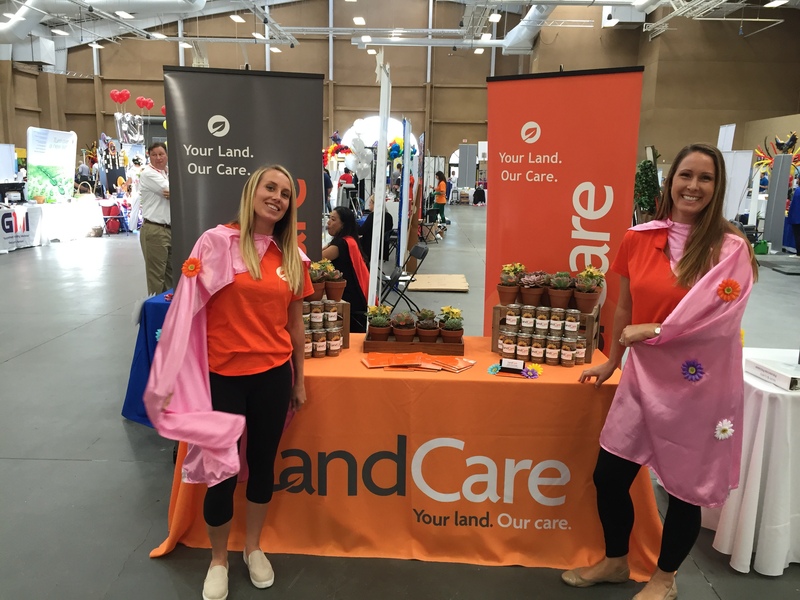 Sharlin Kissinger, AM at San Diego North, and Hayley Katzenberger, AM at San Diego, attended a BOMA and IFMA expo at the Del Mar Fairgrounds. Joel Butler becomes our photo contest’s first repeat winner. Both he and Mary Kirby sent in gorgeous shots but his photos of flowers at Valley Ranch were impossible to beat! Four branches had community engagement efforts this week. It’s wonderful to see the LandCare culture out in the field. Three branches had barbecues and one created a new board as an outlet for team member appreciation. Mark Hopkins, Regional VP, and the OKC branch wanted to publicly thank team members from Dallas West for helping out OKC. Quinton Peak, Ryan Hollingsworth and Kenny Culberson traveled north to OKC to help with an LQA blitz. Ashley Plaetzer, Director — Talent, recently joined the team in Southern California. She went out into the field to get some hands-on experience and find out what our team members do on a daily basis.